SKU: MIR-ETR-B. Categories: Hair Jewelry, Mirrors. 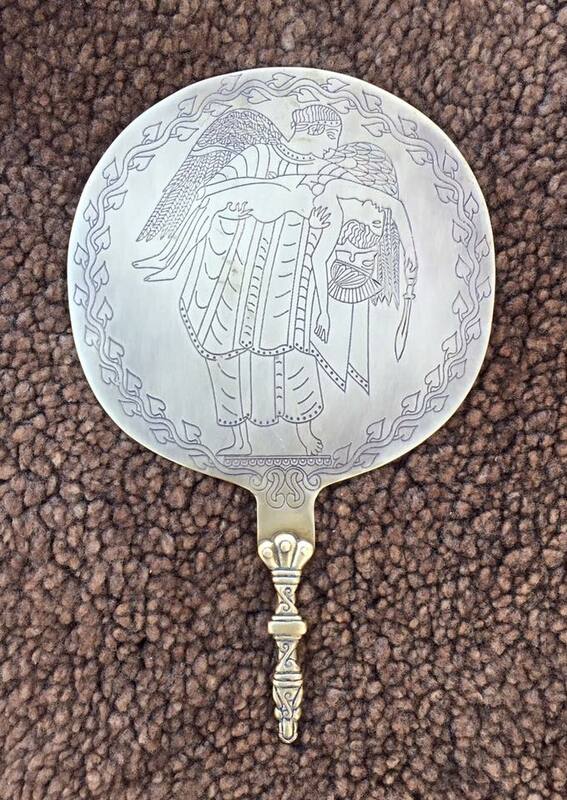 Our Etruscan mirror features the winged goddess Eos carrying the dead body of her son Memnon after he was slain by Achilles in the Trojan War. This somber image was inspired by similar etchings on a variety of ancient Etruscan mirrors. This bronze mirror features a traditional horse-head handle and is 9.25” tall and 6” wide (240 x 150 mm).